Izabela Pioro Photography has been established since 1998. Starting as a studio specializing in pregnancy and newborn photography, over the years Izabela has expended adding boudoir, glamour, weddings and engagement photography. 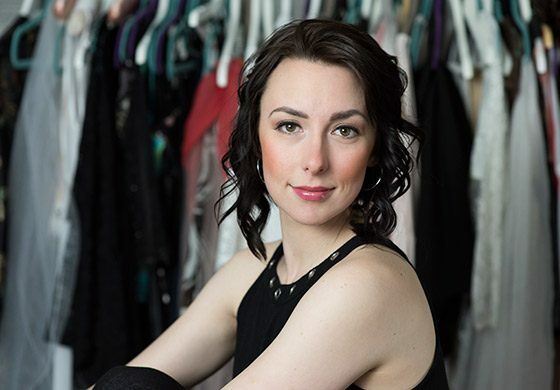 Izabela is a well established professional Photographer in Thunder Bay. She is responsible for keeping everything organized as well as providing direction to projects. As a photographer, she has an eye for incredible detail providing a unique creative approach to film. 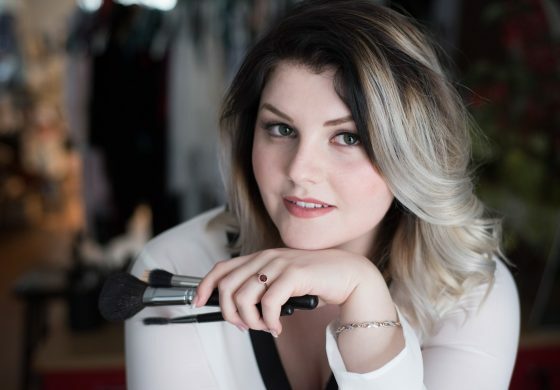 Carly a professional Makeup, Lash & Brow Artist from Thunder Bay, specializing in bridal & photographic makeup, as well as eyelash extensions and micro blading. She has a 2-year diploma in Makeup Artistry from CMU College in Toronto, where she also trained in runway, theatrical, film, SFX and airbrush makeup. Carly has apassion for creative projects that has led her to pursue a career in beauty. We are happy to offer several hair stylists for our boudoir, glamour and professional headshot clients. Each is a talented professional with years of formal training and experience. Daniela Ross (center) has worked at La Moda Salon since 2002, with over ten years as a qualified hair stylist. She specializes in multi-dimensional colour, highlighting and bridal styling. Jennifer Barrow Oshimo (right) also works at La Moda Salon after years of freelancing as a qualified hair stylist. Michale Whintle (left) has also worked on occasion in the studio and now works at The Cutting Room. Both Daniela and Jennifer are also our main stylists for The Butterfly Story, injecting each survivors vision and artwork with their creativity and talent. Cinematographer, Web Designer, Educator Alan started Imagine Films in 2009 with Izabela. 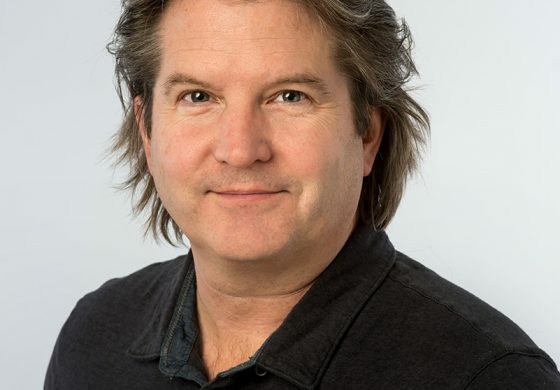 He has over 25 years' experience in the radio and television industry, both behind and in front of the camera. He is a certified IT Network professional with several years experience teaching at the University level. Izabela has always ensured the she’s on point for creating classic and timeless images. As a member of various photography organizations and being accreted through competitions and conventions yearly, she keeps up to and often ahead of fleeting trends, internationally as well as locally. Annually she invests in international courses and workshops, and is a member of many forums to keep up to date. From the very delicate and specialized art of newborn photography; the high paced photography of a wedding day; the empowering and beautiful art of boudoir, glamour and pregnancy portraiture, to the personalized services of branding and corporate business portraits, Izabela has spend countless hours and travelled many miles to connect with her mentors to bring Thunder Bay the most cutting edge techniques and services. Izabela and Alan started a local forum a few years ago on social media, for local photographers and videographer/film makers, offering support and a safe haven to share work, ideas and concerns. Izabela is also an active member of PARO Thunder Bay, and meets monthly in the most active and long-lived PARO group init’s history. 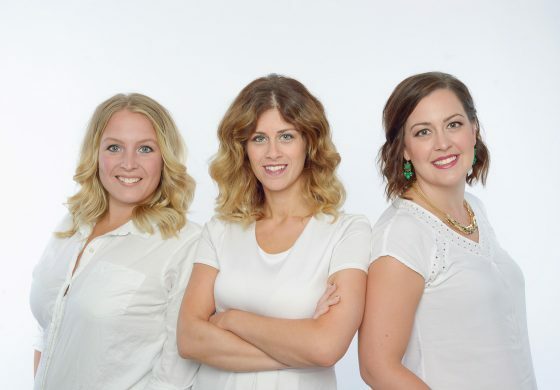 They are also founding members and contributors to the locally base wedding support and information service: “Plan Your Day Thunder Bay”. The service includes support for new brides looking for assistance in planning their wedding day. It’s an educational service giving brides a non-partisan guide on how to find their ideal local wedding vendors, no matter what they’re looking. They have been involved in two live events with PYD and form an active part of the online service through social media and website. Find the service on Facebook or https://www.planyourdaytbay.ca.